At King of Kings Preschool, we recognize that each child has unique strengths, gifts, and personalities that are fostered in their home environments. 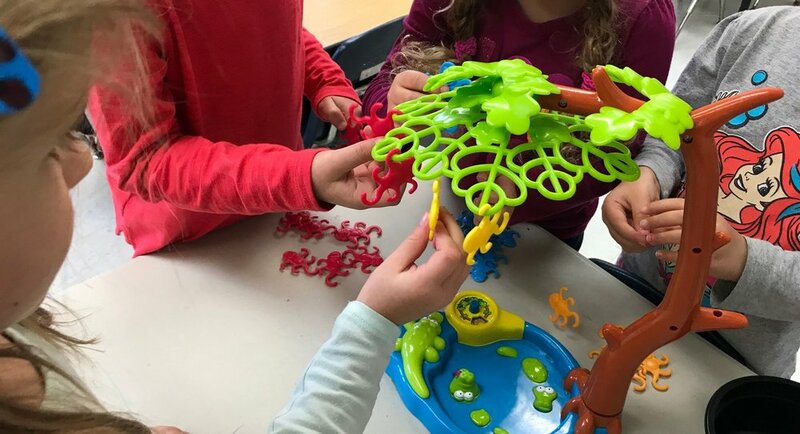 We partner with families in order to extend a child’s learning by giving them a wide variety of opportunities for independent and social exploration play which include early math and literacy activities planned by our qualified and caring teaching staff. As a mission of King of Kings Lutheran Church, we are a Christ-centered, nurturing community that is open to ALL children and their families regardless of race, nationality, or creed. King of Kings Preschool is licensed by the Virginia Department of Social Services. Each class has a weekly chapel lesson to encourage and foster our Christ-centered environment. Children are engaged in prayer, song, stories, and fellowship. We offer a weekly music class for all ages, led by a professional music teacher. Children are introduced to instruments, dance, and song. Children are encouraged to learn through interactive and dramatic play, games, sharing, and movement. All classes play outdoors for at least a half hour each day in a supervised, and safe environment. The early building blocks to writing are developed as we introduce children to letter shapes and sounds, and provide fine motor skills activities. At King of Kings children hear stories, participate in dramatic storytelling, and are encouraged to “read” books to themselves in their classroom library. Each class engages in a weekly lending library to foster their love of books! Children are exposed to math concepts in a variety of fun, play-based ways. 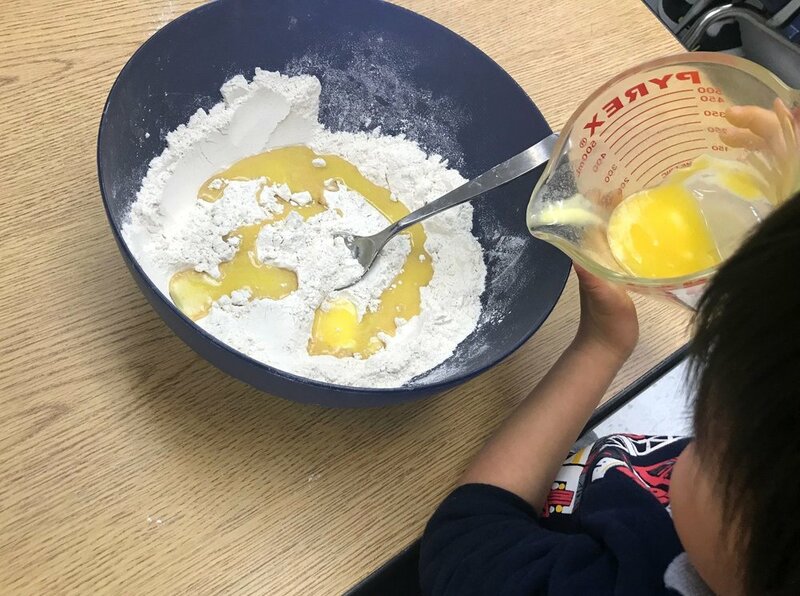 Classrooms enjoy cooking and baking activities while incorporating measuring and pouring. Blocks and counters are used for stacking, sorting, and pattern making.